George Springer III is a standout young talent who has people buzzing in Houston and beyond, after he helped the Astros advance to the 2015 MLB Playoffs for the first time in 10 years. But he might not even be the most accomplished Springer in the sport. It’s hard to imagine a family with more baseball and softball accomplishments than the Springers. 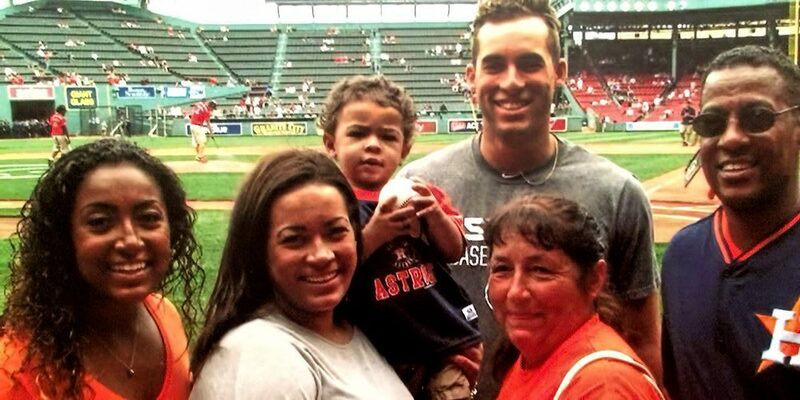 The patriarch, George Springer Jr. used his experience playing in the 1976 Little League Baseball® World Series with Forestville Little League from Bristol, Conn., to ignite a passion that has led the Springer family to be one of the most decorated baseball and softball families in the world. George Jr. and his wife, Laura (who played softball growing up in Simsbury, Conn., and later became a competitive gymnast), raised their three children in New Britain, Conn. All of them starting their playing days at Walicki Little League, where George Jr. became League President in 1997, later being named to the Little League® International Advisory Board, which he served on from 2000 to 2003. Those three children, daughters, Nicole and Lena, along with, George III, have gone on to have great success in their sports, playing for national teams and NCAA Division 1 programs. Starting right fielder for the Houston Astros; 2011 Big East Player of the Year and All-American at the University of Connecticut; member of the 2010 Team USA College Team. Assistant Coach for the Southern Connecticut State University softball team; 4-year All-Conference performer as a collegian and graduate of Central Connecticut State in 2013; member of the 2012 Puerto Rico National Softball Team. Junior pitcher for the Ohio State University Buckeyes softball team. Played as a freshman at the University of Central Florida and competed in the 2014 NCAA College Softball Tournament; member of the 2013 Puerto Rico Junior National Softball Team.